Ranger Nader & The Sunstruck Phantom is middle grade book appropriate for children ten years and older. You can contact Kam Karem for a media kit or review copies at 770-653-6236 and at Kam@kamkarem.com. Over four decades ago, my father moved our family to Baton Rouge for work-related opportunities. A couple of years later, my husband and I graduated from LSU and enjoyed living in Louisiana during our early years together before moving to Houston, TX and later, Atlanta, GA.
Our hearts are broken by the destruction of the recent flood through southern Louisiana. Although several of my family members did evaculate their homes, all were able to return to very little damage. Profit from the sale of “Lullaby of Lake Charles” will be donated to help Louisiana Flood victims. It seems like I’ve been writing Lullaby of Lake Charles all of my life. To have all the bits-and-pieces of people, places and things that have been swishing-around for years in my thoughts and mind come together in one coherent tale, with a surprise ending, is a dream come true for me. 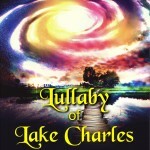 Lullaby of Lake Charles is a contemporary romance. 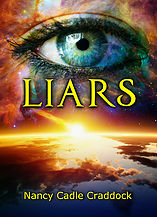 It is a story of love on many levels and one that I hope readers will enjoy. Margaret Sinclair, wealthy and childless, traveling from Baton Rouge, LA to Houston, TX. Chloe, a young and unwed mother, stranded outside of Baton Rouge, LA. A young father who lives by his own rules. A sheriff protecting his wayward son. A crash. A witness. A baby. The ending no one saw coming. Writers and Wannabes at Southern-Breeze’s Springmingle! Three of us Writers and Wannabes attended Southern-Breeze’s Springmingle writing conference this past weekend, and we had a fantastic time with our fellow SCBWI members. For those of you not in the know, SCBWI stands for Society of Children’s Book Writers and Illustrators. It’s the largest organization of its kind in the world. 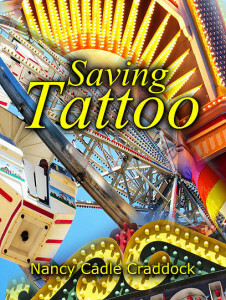 You can check out more about it here: http://scbwi.org. It was great to reconnect with our writing tribe, and the fantastic panel of speakers made sure we left fired up to write right! Our good friend and fellow SCBWI Southern-Breeze member was kind enough to post an article about our book give away! Read it here: http://c-c-hall.com. 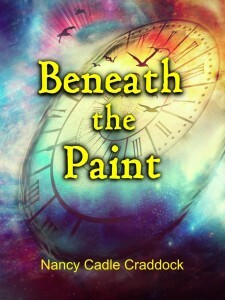 Authors, do you have a marketing strategy, technique, plan, idea or mechanism that produced great results? Share it with me at tk.read@yahoo.com, and we’ll share it with the writing community in our second edition, to be published in Kindle and paper form in late summer of this year. We’ll give you a shout-out and link to your author’s page! Here’s to lighting fires under your writing AND your marketing! Author’s Table at Conyers Fall Festival was a Huge Success! Author’s Table at the Olde Town Conyers Fall Festival was a huge success! Thanks to Conyers for hosting such a great event and a special thanks to T. K. Read for all of your behind-the-scenes help! Left to right: Nancy Cadle Craddock, Mary Ann Rodman, Connie Fleming and Susan Rosson Spain.